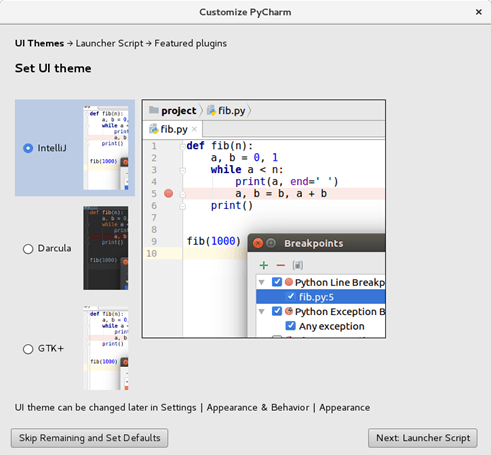 PyCharm is an integrated development environment used for computer programming primarily for Python language. It is developed by JetBrains. 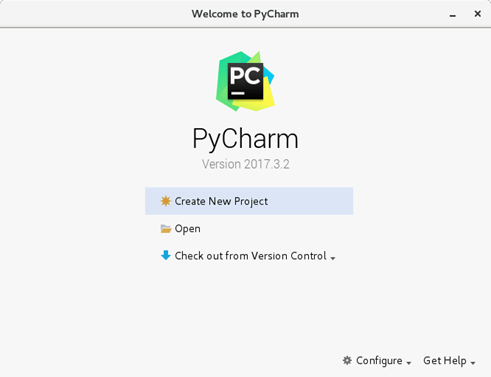 PyCharm supports Windows, MacOS and Linux versions. The Beta version of PyCharm was released in July 2010. The Open Source version of Pycharm, Pycharm community edition was released on October 22, 2013. In this tutorial, we will install PyCharm on CentOS. 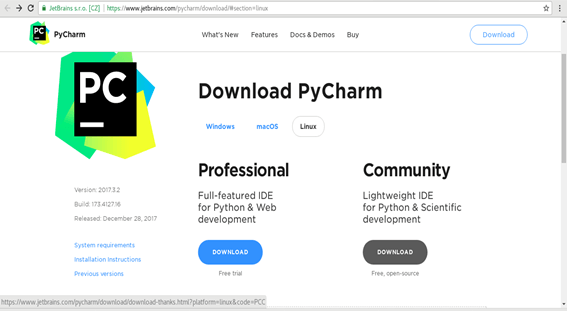 Click the link https://www.jetbrains.com/pycharm/download/download-thanks.html?platform=linux&code=PCC to download PyCharm Community edition. PyCharm provides various themes to work with. Choose any of the theme and click Next. 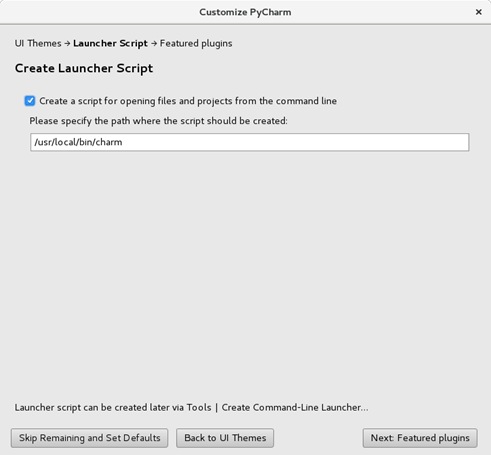 This step creates a launcher script which can be executed globally on the terminal in order to open Pycharm from command line. Just click Next to continue. 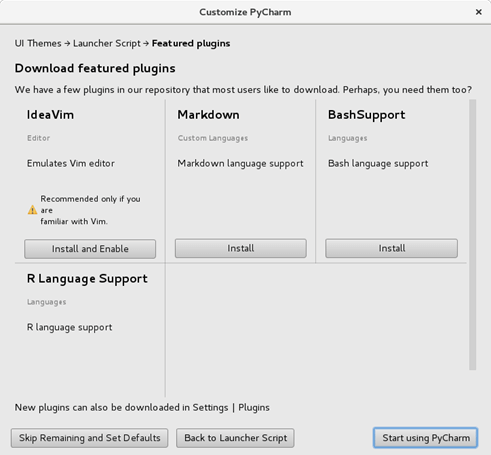 Choose if any of the plugins required to be installed and click on start using PyCharm. 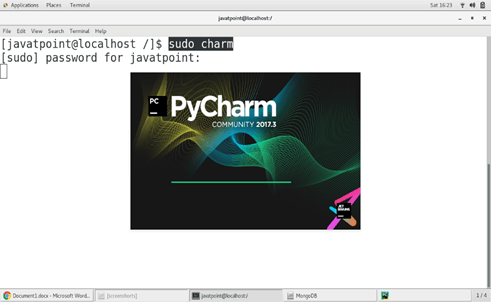 Just type sudo charm on the terminal to verify whether PyCharm is globally installed on the system. Click on Create New Project to start using PyCharm. Hence, we have successfully installed and get started with PyCharm community edition on CentOS.